Stomatolog i ortodoncja na Bielanach i Bemowie - Unident - Twój dentysta! UNI-DENT dental Clinic provides patients with a full scope of dental services. 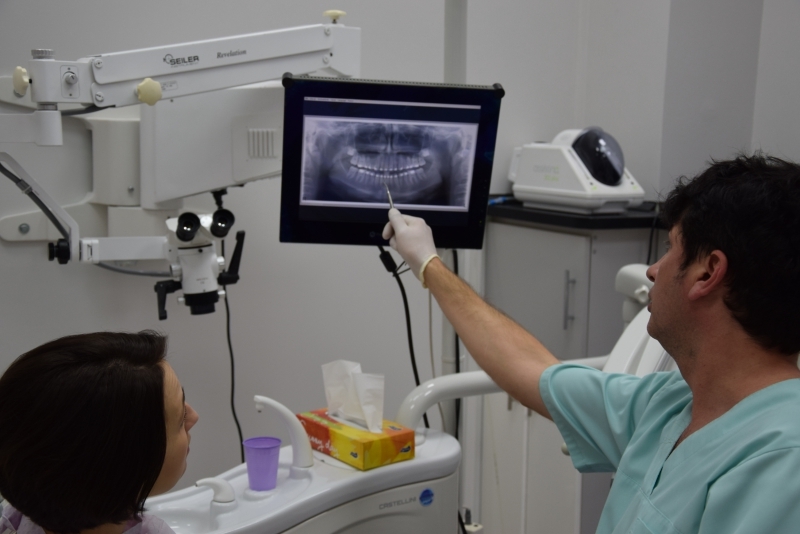 Each patient receives an individual treatment plan based on a free of charge check-up and digital panoramic radiographic image. This technique uses a minimum doses of x-radiation. 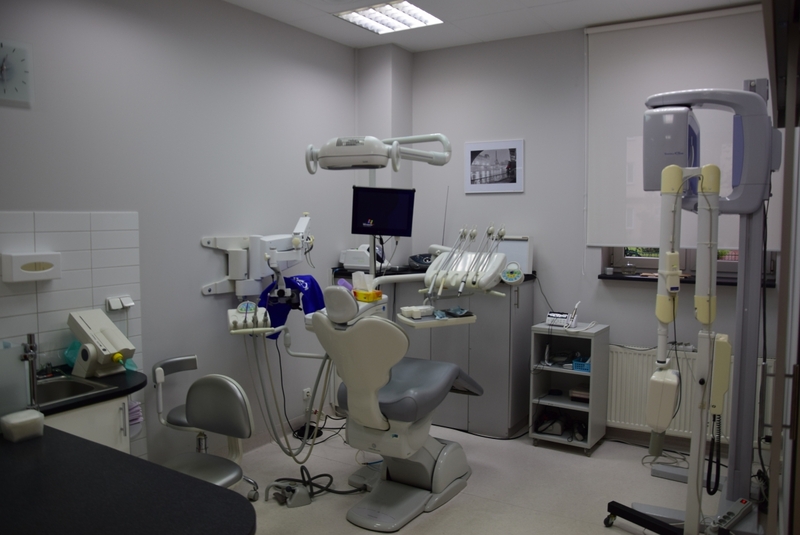 AESTHETIC DENTISTRY is one of the main focuses of our dental Clinic. We perform, among the others, veneers, laminates and teeth whitening with the use of two methods. ORTHODONTIC treatments include various types of the latest, most advanced braces individually fitted for the purpose. ORAL SURGERY section features American dental implants, Biomet 3i and PERIODONTOLOGY deals with bone regeneration with the use of biomaterials. 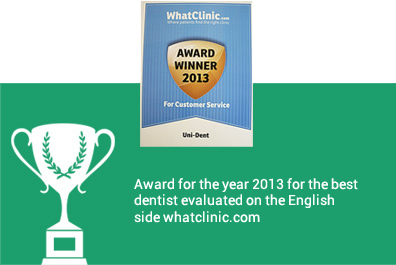 All photographs in our website show real dental cases that we have worked on. In OUR SURGERY tab you will find information about modern equipment at our Clinic. We have the most advanced microscope and devices for root canal treatment. Dental tools sterilization is our priority and it is guaranteed by our autoclave. Our regular clients are issued with a card offering 10% discount for all treatments excluding prosthetics and orthodontics. As for conveniences our patients may use WiFi and the car park that is found in front of the Clinic. Also, all rooms at the Clinic are air-conditioned.Do not hesitate to stop by or call us. She is a graduate of Medical University of Gdańsk and a holder of 1st degree specialization in general dentistry. She has been running her individual dental practice for twenty years, specializing mainly in dental aesthetics, prosthetics and endodontics. She continually improves her skills and knowledge by taking part in various specialist courses, also the international ones. She has participated, among the others, in CEDE trainings on endodontics and prosthetics at the Congress of Dental Teams in Łódź as well as in a course on modern teeth restoration systems – Cercon Smart Ceramic. Also, she took part in the trainings conducted, among the others, by the world-famous Prof. Dr Matthias Kern and Dr Martin Groten at International Quintessence Seminar. It is due to her efforts that system ISO PN-EN ISO 9001:2001 was introduced in our Clinic in 2007. For many years she has been the member of the Association of Polish Dentists (Stowarzyszenie Polskich Lekarzy Dentystów). She graduated from Medical University of Warsaw with honours. Since that time she has been continually improving her professional qualifications by participating in courses, symposia and seminars organised by Polish and foreign lecturers. She completed her internship with Prof. Kaminek at the University of Olomouc, Czech Republic. She has participated in multiple trainings in orthodontics, among the others, with Prof. Bassigny (France), Prof. Zachrisson (Norwey), Prof. Proffit (USA). She holds the title of a specialist in orthodontics. She has published papers on orthodontics as well as been a co-author of a medical book and is a member of Polish Dental Association (Polskie Towarzystwo Stomatologiczne ) and Polish Orthodontic Society (Polskie Towarzystwo Ortodontyczne). A graduate of Comenius University of Bratislava, a scholarship holder at University of Medicine in Łódz. He developed his dental skills during a one-year stay in the United States and Canada. He participated in courses organized by Association of Polish Dentists (Stowarzyszenie Polskich Lekarzy Dentystów), Polish Dental Association (Polskie Towarzystwo Stomatologiczne ) in aesthetic dentistry, prosthetics and oral surgery. He has been actively participating in trainings in implantology organized, among the others, by Polish Association of Dental Implantology (OSIS), and has been a member of Polish Endodontic Association. In our Clinic he specializes in prosthetics and oral surgeries including the latest techniques used in patients with a resorbed bone e.g. guided bone regeneration. He graduated from Medical University of Warsaw, faculty of Medicine and Dentistry. Since then he has been developing his knowledge and professional skills by participating both in national and international trainings, conferences and symposia. He specializes in aesthetic teeth reconstruction with the use of the latest materials. He looks after a beautiful smile of our patients. Apart from aesthetics he is also concerned with oral surgery, prosthetics, root canal treatment with the use of a microscope. 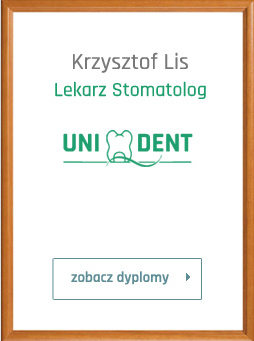 He is the member of Polish Dental Association (Polskie Towarzystwo Stomatologiczne ), Polish Endodontic Association (Polskie Towarzystwo Endodontyczne), Polish Academy of Aesthetic Dentistry (Polska Akademia Stomatologii Estetycznej).